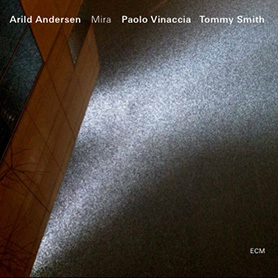 Composed by Arild Andersen, with elements of traditional folk music. The title means «The Dream Horse». From the concert «Til Radka» (tribute concert to Radka Toneff), August 10, 2009, at the Opera House during Oslo Jazz Festival, Norway. With Arve Henriksen, trumpet, Steve Dobrogosz, piano, Jon Eberson, guitar, Arild Andersen, double bass, Jon Christensen, drums, and Alex Riel, drums. This is Arild Andersens composition » Hyperborean». The singer is Elin Rosseland.She received the Radka Tonef Memorial Prize 2009. This version of Hyperborean is totaly improvised. They had no time to rehearse the piece, so this is the first time they play it together.